The place she holds within your hearts Is unlike any other. Our thoughts will turn to mothers, wherever they may be. And send a check to Sisterhood to think of Mom today! *Our Fantasy Tea is in honor (or memory) of all of our Mothers, Mothers-in-law, Grandmothers, and the important women in our lives. 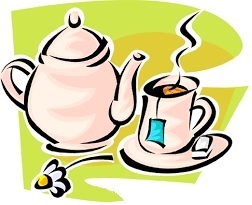 While you enjoy a cup of tea think of the special women in your life and make a donation to help Sisterhood continue its support of Temple Sinai projects. Your participation will be acknowledged in the Temple Sinai Bulletin.